Teeeheeeee, Christmas is coming in few more days!! Expect a lot of traffic now as Christmas draws near. Start and plan your Christmas shopping now to avoid the rush. Here's SM Megamall Holiday Mall Hours, so you know when to shop. Actually, they have extended their shopping hours till 11 pm and even at 12 midnight on some dates. 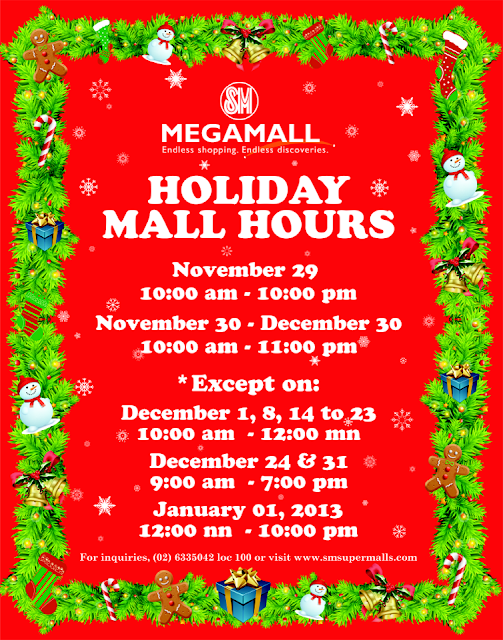 That means more shopping hours for all of SM Megamall customers. I have shopped for some gifts already but still need to buy for other people and I'll be going to the mall this weekend and I'm pretty sure that there will be lots of shoppers already since it's payday as well, while some already got their 13th month pay and Christmas bonus. Few more days and it's Christmas time once again. What a great way to celebrate it together with our family and friends. Have you started you Christmas shopping already? I already started mine 2 weeks ago already and will shop again this coming weekend. I'm trying to avoid the Christmas rush that's why I've already started buying gifts as much as possible. I'm so happy to list down all the names and gifts that I wanted to give them and I hope they will all like the gifts that I bought for them.I still need to find gifts for my brother and my uncle though and I reckon swisher sweet cigars will be a good one. Also, my brother loves to paint so a set of oil paint is a good option since he can really use them. I have some gifts already but our Christmas tree is not yet up. I'll try to assemble it this weekend and since I'm cost cutting this year, I will still use the old ornaments that I used last year. Holiday Shopping Thrills at The Body Shop! If you're a BPI Express Credit Member, don;t miss this Holiday Shopping Thrills at The Body Shop because you can get 30% off on Bath & Body and Home Fragrances from Nov. 16-30, 2012. Shop at Body Shop now and get the discount EXCLUSIVE only for BPI Express Credit Members. Are you ready for the The Coachella Valley Music and Arts Festival next year? The Coachella Valley Music and Arts Festival (commonly known as Coachella, Coachellafest or Coachella Festival) is an annual three-day music and arts festival, founded by Paul Tollett, organized by Goldenvoice (a subsidiary of AEG Live) and held at the Empire Polo Club in Indio, California, in the Inland Empire's Coachella Valley. I'm pretty sure that everyone will be attending this annual event again for they can experience good music and sounds, friends, lots of fashionistas, celebrities and music lovers. Here are some few styles that you can wear on the said event. Looking for a nice gift f this Christmas? 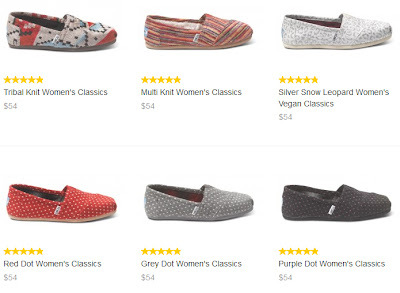 This TOMS Exclusives: Herringbone Classics with Free Shipping is a perfect gift! Check out the various patterns and colors at TOMS.com because they also have these designs. Each pair is $54.00. And remember everytime you buy a pair of Toms, they will give one shoes to a child in need! I think these are one of the comfiest shoes you can wear! Yey, I already started my Christmas shopping!! Have you? Actually, it was me and my SIL who already shopped for some Christmas gifts last week. 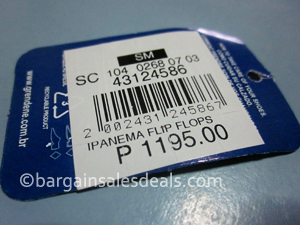 We went to a bargain place where they sell lots of wholesale items from clothing, shoes, bags and lot more. Actually I was overwhelmed when I saw all the items for sale. It's like a big haven for gift items. We bought a lot of gifts for my relatives but I we'll be scheduling another shopping day because we are not yet done. I forgot to bring my list that is why I have some items that I wasn't able to buy because the list is not in my hand. I also have a friend who loves to dance and a little niece that is into ballet so, I'm thinking of getting them dance gifts wholesale and I'm sure they will love it. I also need to find a nice gift for mom. Usually I'm having a hard time finding a gift for mom because to tell you frankly she is really picky. She'll not use any gift she does not like so to make my gift more special, I let her pick the gift that she wants. In that way, she'll really use it and my gift will not go to waste. Ahhh... I can't wait to shop for more because this time I will buy something for myself!! You don't always need to wear neutral or earth colors all the time. Bring some color in your wardrobe by wearing mustard or yellow blouse, shirt or in this case a blazer! Just make sure that you'll not inject other colors in your attire when you want the yellow color to stand out. Wear a white plain or printed blouse and wear your yellow blazer and for sure you'll stand out in the crowd. We often heard that hair is our crowning glory so we need to take care of it as much as possible. I admit that I always dream of having soft and lustrous hair but unfortunately I have a thick, kinda course and not easy to manage locks. For over 2 decades already I’m sporting a long hair but find it too “heavy” and I’m not that too confident to show it without a ponytail. Just last April, after gathering a lot of courage I finally had my hair cut very short. At first, I was having second thoughts if I’m going to let go of my long hair because I fear that it will just be too bulky or will look like a helmet hehe. I had to try several short haircuts until finally my hairdresser found a cut that suits the type of my hair. Now, I love my short hair and I would find my long hair a disaster every time I see them on photos. It’s also become easier for me to manage my hair aside from that fact that I saved much on shampoo and conditioner. As much as possible, I have to go to my hairdresser every 1-2 months for maintenance trims because if not, it will look hideous. I also changed may shampoo and conditioner and lately I can see some changes. Looks like having a short hair made me look younger and my hair more manageable but I know it’ll take a while to have a soft and shiny one. I still want my long hair back so I’ll do anything to keep my hair more shiny than before. Thanks to beauty care tips that I stumbled upon whilst browsing online. I also learned that Argan Oil can rejuvenate not just our hair but also our skin and nails. The pure oil of Argan can also miraculously delay our skin ageing because of its antioxidant properties. We definitely can’t stop ageing of humans but with the aid of some nature wonders it can be delayed. Having a glowing skin and shiny healthy hair are signs that we are doing a good job in maintaining our physical beauty. 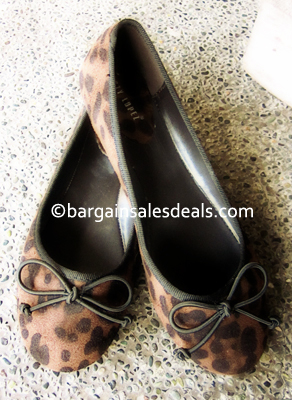 I've been meaning to buy an animal print type of flat sandals for a long time now but I could not find that will suit my wide feet and my budget. I saw some at Zara, Cotton On, even at Payless but when I try to buy they don't have size 5 that has wide soles. The one at Cotton looks comfy but doesn't look durable to me, apart from being a little expensive for my budget hehe. 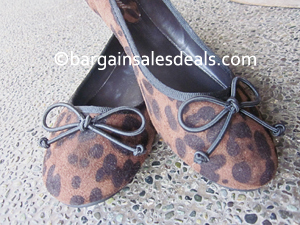 Finally, just last weekend found this affordable animal print like flat shoes by Rusty Lopez at Robinson's Galleria. I didn't mind the brand name because it perfectly fits my feet, comfortable and affordable as it's only Php599. Sometimes, we don't need to buy expensive branded shoes at all for there are other brands that are more comfy and durable too, plus easy on the budget, right? It is hard for any woman to resist the temptation of buying a new handbag. Aside from clothes, shoes, makeup and jewelries; bags are also on the list of a woman’s favorite things. Believe it or not, the task of shopping for a new handbag can be a long and well-thought process. Women who are willing to invest money on luxury brands often do not indulge on compulsive buying as they would like to ensure the quality and the authenticity of the bag before they make the purchase. 1. Find the right size. Some women might think that size is not an important factor to consider as it does not affect the aesthetic and design of a bag. But wearing an oversized one might look awkward and at the same time having a bag that is too small for your body frame might look less appealing. Choose a shoulder bag that is proportionate to your body size. For example, women with short waist should wear a handbag that is right below the hips to create of a longer upper body. 2. Choose the right quality of material. One of the reasons why there’s a great difference on the price of bags depending on the brand name is because of the materials used. Leather is one of the most expensive materials because of its great quality. If you are looking into investing on a good shoulder bag, one thing to look at is the material used. 3. Have an idea on the style that you want. 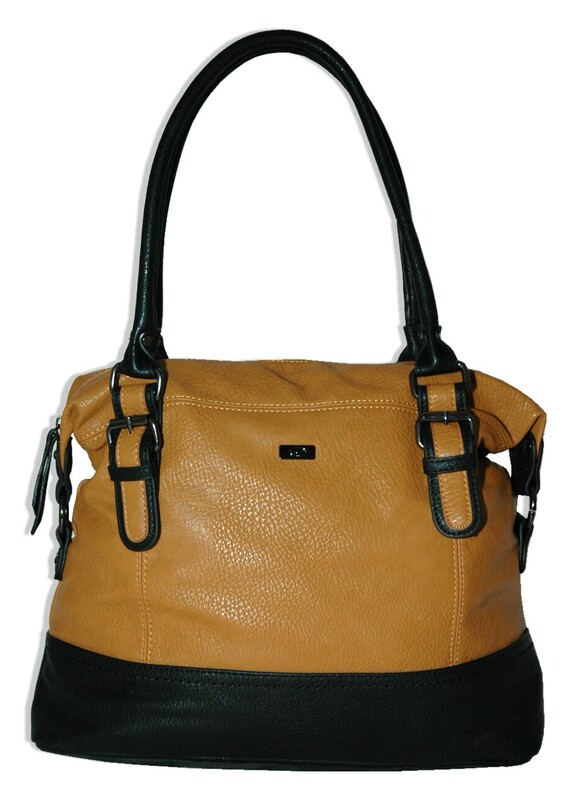 Vintage design are classic and will not go out of style; however, some women would want a shoulder bag from the latest trend. Look at several fashion magazines in order to get a glimpse on the bags that are on trend right now and the favorites of celebrities. If you already have a preferred style or brand in mind, learn how to shop for a good deal by looking online. Make sure to deal only with trusted websites that are authorized resellers in order to protect yourself from counterfeit items. Christine is a content writer who loves to talk about fashion and shopping. 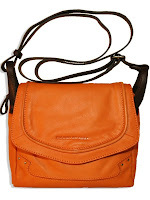 Her current project on skuldertaske provides information on the latest shoulder bags. Are you ready for your Christmas shopping? 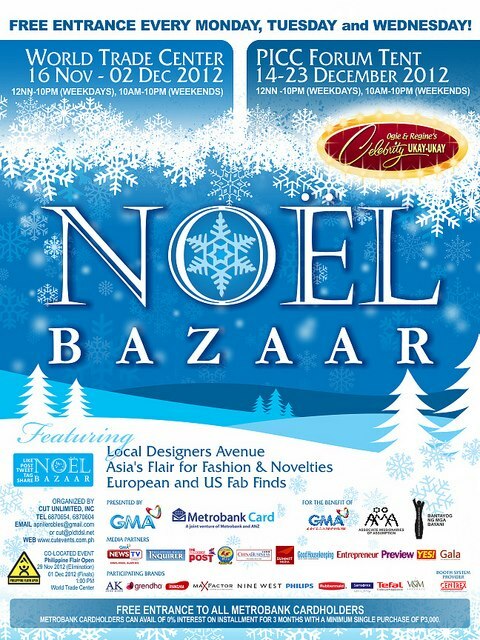 NOEL BAZAAR 2012 is going to be held from November 16, 2012 – December 2, 2012 at the World Trade Center and December 14-23, 2012 at the PICC Forum Tent. It also features the Celebrity Ukay-Ukay or Regine and Ogie Alcasid. Free entrance Monday, Tuesday and Wednesday! Christmas is just around the corner and have you made your list already? I'm starting mine and actually I'm having a hard time coming up with new gift ideas for my friends and relatives. 1. For my techie nieces and nephews: I can give them stuff like head phones, USB , DVD with dvd labels, an external hard disc maybe. Phone cases are great gifts too especially now that phone cases come in cute designs and patterns. 2. For my mom, aunts or older women friends: Bags and cosmetic cases are very useful. Cosmetics and other makeup or toiletries. Spa GCs are also great. One of my aunt is a spa addict lol. 3. For bros and older guys: Hmmm probably a leather wallet, chrono watches or even personalized shirts. 4. For little kids: Toys will never be out of my list to give for they really love to get new toys for Christmas. Went to Megamall with my family few weeks ago just to buy my niece a shoes but look I end up buying myself sandals. I already have couple of sandals but since I wanted a more comfy sandals that I can use when shopping or walking for many hours, I decided to buy this iPanema Ladies' Mexico Flip Flop Sandals. 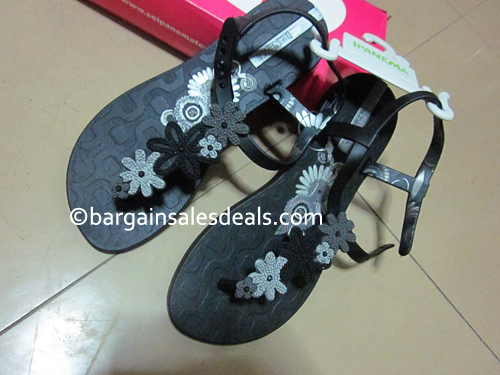 It has a soft plastic sole and has a grey/black floral print. I got it for Php1,195.00. I already used this and it was very comfortable! 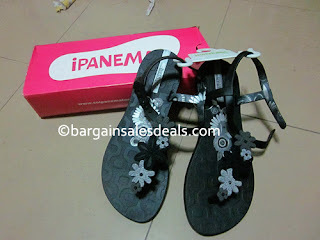 I know I can use this for a long time since iPanema products are very durable as well. Do you own any iPanema sandals or flip flops? Here are the other colors available but I decided to just buy the black one. These days, buying silver and gold online is no longer uncommon. Those that are looking for more ways to save and invest their money on something that has good value they turn into investing on precious metals. If you want to buy silver online and other metals, Golden Eagle Coins offers the best deals on gold and silver. Aside from that, Morgan Silver Dollars and other hard to find coins are their specialty. With the economy staying unstable for sometime, we need to be wise in our spending and investing so that our hard earned money will not just go to waste. Christmas is just around the corner and buying gifts for your friends and relatives this early is the best thing to do since a lot of stores and bazaars are having their sale already. 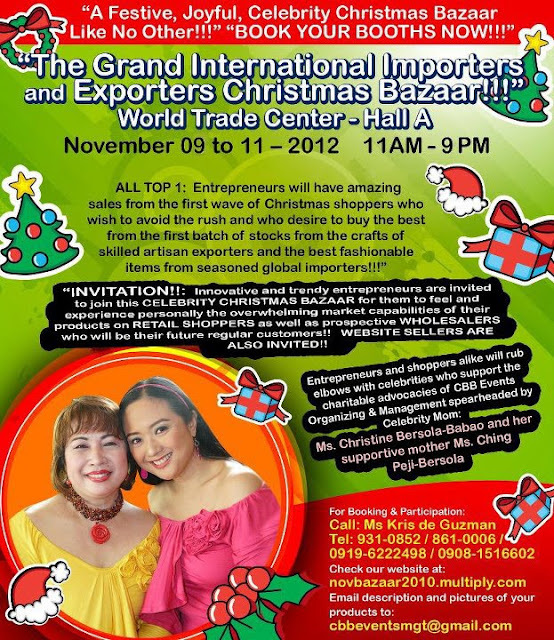 Here's one to look forward to The Grand International Importers and Exporters Christmas Bazaar 2012 on November 9 - 11, 2012 from 11 am - 9 pm at World Trade Center – Hall A. To make you more excited to shop, it has over 200 booths full of items from exporters and importers aside from celebrity booths that will be joining.